You know that one appetizer that is dangerous when you combine it with you? Well I could eat my weight in chips and salsa, okay maybe not literally, but maybe? I just love them, the combination of salty, crunchy and tangy heat just speaks to my taste buds. 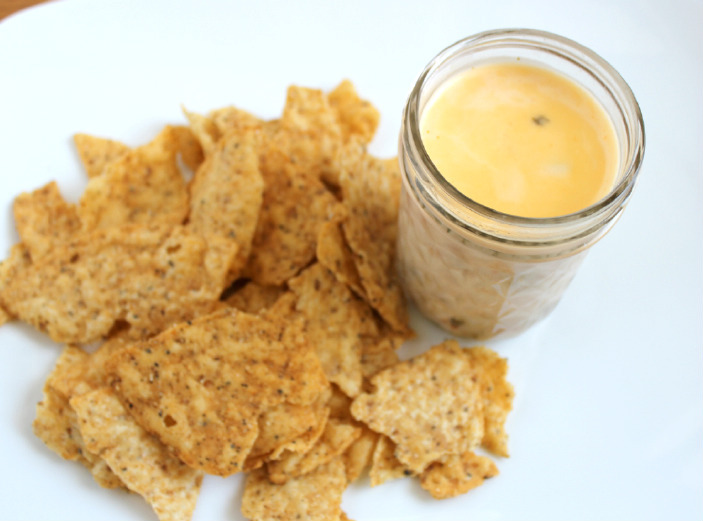 The only thing better than salsa is queso! I mean unless you’re lactose intolerant or a vegan, who doesn’t like cheese? Put your hand down, go make yourself a batch of this golden lava and enjoy! In a medium saucepan over medium/low heat, warm the milk. Add the cheese and Rotel, stir occasionally until the cheese is melted. Serve warm with chips or over quesadillas. I love me some queso! 🙂 Thanks for the recipe . . . I think! Maybe I would have been better off without it! LOL! Cheesy deliciousness … love this!!! Thanks for sharing I think I might make this asap!